A homeless man was stabbed six times by a man he thought was his friend. They knew each other from the Rescue Mission, court documents said. Anthony Easterly, 30, the man accused of stabbing his friend early last Saturday, and the victim, were visiting one of Easterly's friends in the area of Wells Street and Archer Avenue when Easterly told the other man to get down on the floor. He complied and then Easterly, 6 feet, 2 inches tall and 320 pounds, allegedly started to stab him, court documents said. “(The victim) felt a strike to the back of his head and what he described as several 'pinches' to his back area. When (the victim) felt the blood on his back, he realized that he had been stabbed by the defendant,” court records read. The victim ran from the home and called police, who found him in the street and took him to a hospital. A doctor at the hospital said the victim had been stabbed six times with wounds to his back left shoulder, middle back area and lower right back. When police found Easterly, he identified himself as the victim on several occasions, court documents said. Easterly was also wearing his victim's jacket and boots. Easterly was charged with battery by means of a deadly weapon and criminal recklessness committed with a deadly weapon and misdemeanor false informing. He was being held in lieu of $12,500 bail. 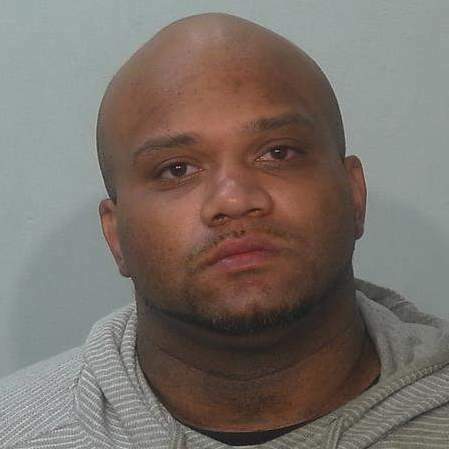 He was also being held without bond on prior charges, according to an Allen County Jail spokesman.